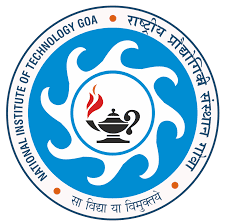 National Institute of Technology(NIT) Goa opens Teaching and Non-Teaching job Recruitment for those want to rise their career in Educational field. NIT Goa is reputed educational institute.Talented and Experienced candidates feel free to apply for the vacant Teaching and Non-Teaching job posts. Assistant Registrar, Administrative Office, NIT Goa, Farmagudi, Ponda, Goa - 403401 till 12/09/2016.